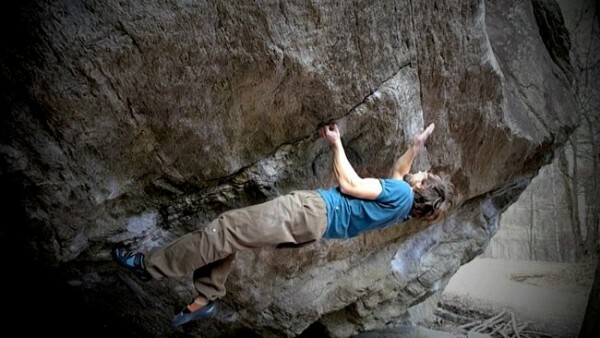 Also in Chironico is Dave Graham’s From Dirt Grows The Flowers (V15), a problem that was first done almost exactly 10 years ago. After seeing only two repeats since 2010, the past few weeks have yielded repeats by Manuel Brunn, Nils Favre and Kilian Fischhuber. Back here in the U.S., Alex Megos completed his longest project – 11 days – with his 3rd ascent of Paul Robinson’s Lucid Dreaming (V15) in the Buttermilks. 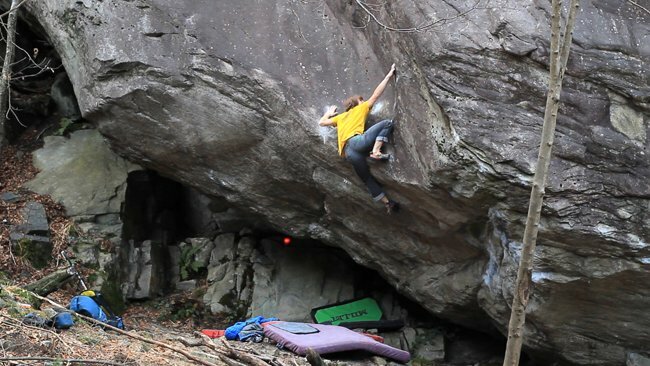 And finally, in Fontainebleau it was American Griffin Whiteside doing his first V15 with a repeat of Vincent Pochon’s The Big Island (V15). I think he did that late 2014. Man, what is going on this year?!? 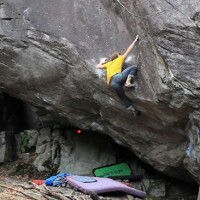 Motoshi Nagao sends Byaku-dou V15.